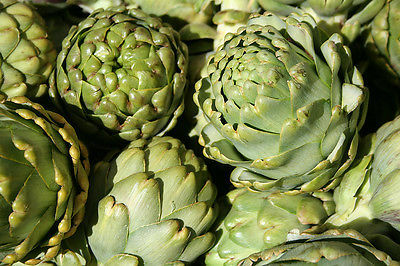 'Green Globe' artichokes produce 2-5 inch diameter heads with thick, flavorful hearts. Often begins production by mid-August of the first year. One of the most winter hardy of all artichokes, 'Green Globe' will remain productive for 5 years or more. Winter hardy to zone 7.